Three children – Jerry (bossy), Jimmy (hungry) and Kathleen (sensible) – find themselves standing in front of a bejewelled princess in the garden of an enchanted castle. It is the first day of their summer holidays. Is she really a princess? And if she isn’t, what about her ring which makes the wearer invisible? This ring, combined with the children’s appetite for exploring, sparks a tale full of vivid adventures and extraordinary characters. With ‘ugly-wugglies’ on the loose, statues alive in the moonlight and crimes needing to be solved, there is never a dull moment. Imagination is powerful; magic is possible. Magical tale of invisibility and a bejewelled princess still enchants. 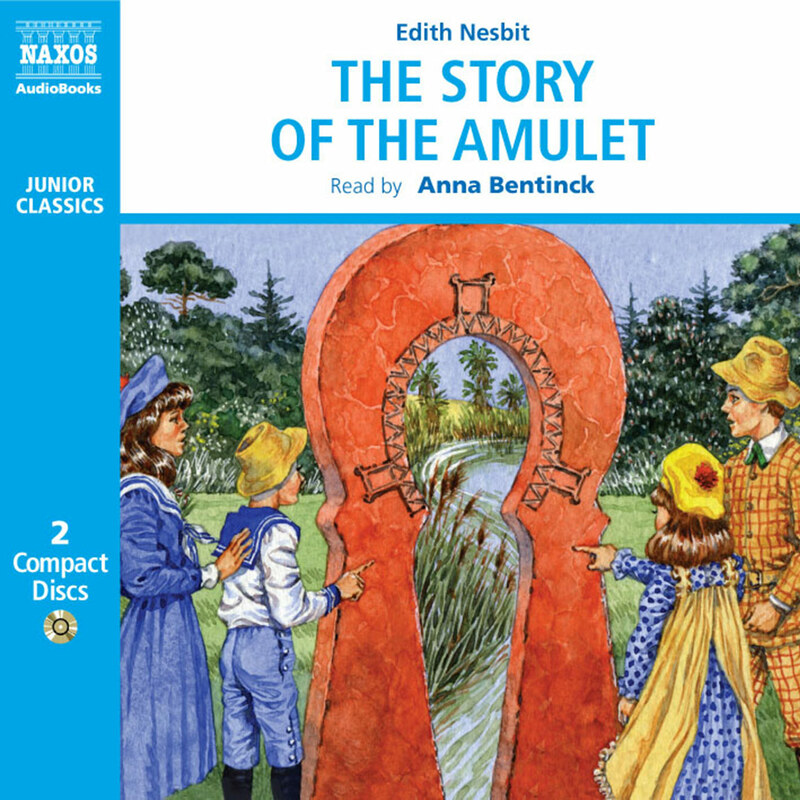 Edith Nesbit crafts an adventure in which three children on summer vacation encounter an enchanted castle and a magic ring. 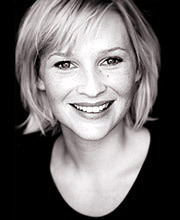 While the story may be a hundred years old, Joanna Page brings freshness and urgency to the tale. Her children live up to their descriptors – officious Jerry, nonchalant Jimmy, and practical Kathleen – and they’re brought to life with just the right amount of a British accent. Page moves the narration briskly, letting the layers and intricacies of the story shine – from the children’s first realization of the ring’s power to the coming to life of the Ugly Wugglies. Try this over school vacation. 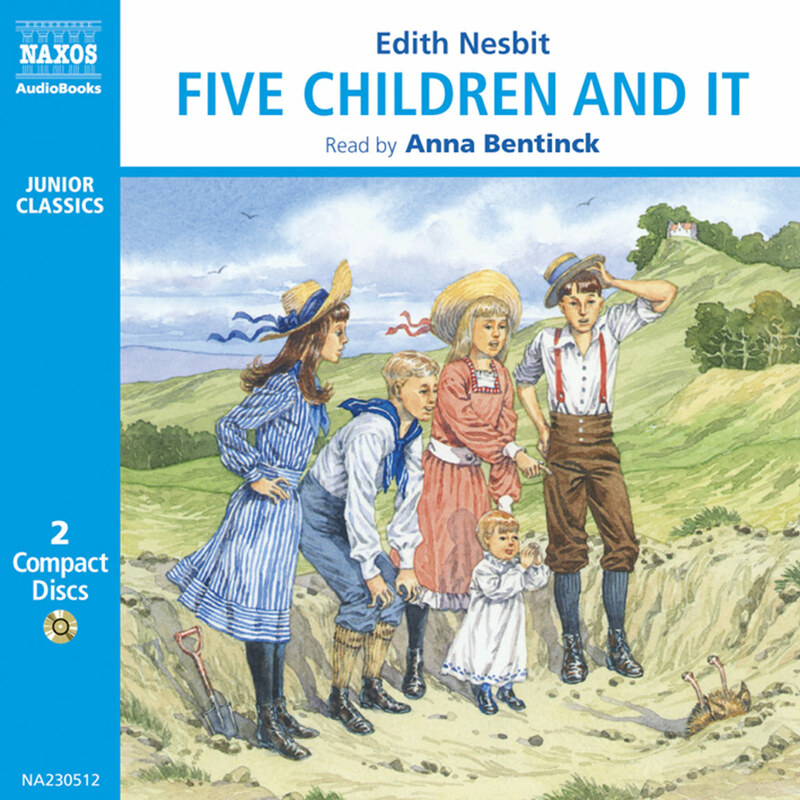 Edith Nesbit knew well how to entertain children. In fact, she knew how to entertain adults at the same time. Her stories, which sprang partly from her own experiences, tend to focus rather beautifully on the innocence of children, and their capacity for getting into trouble without really meaning to. In some senses they capture a bygone era, but in others they are timeless – hence their continuing popularity. 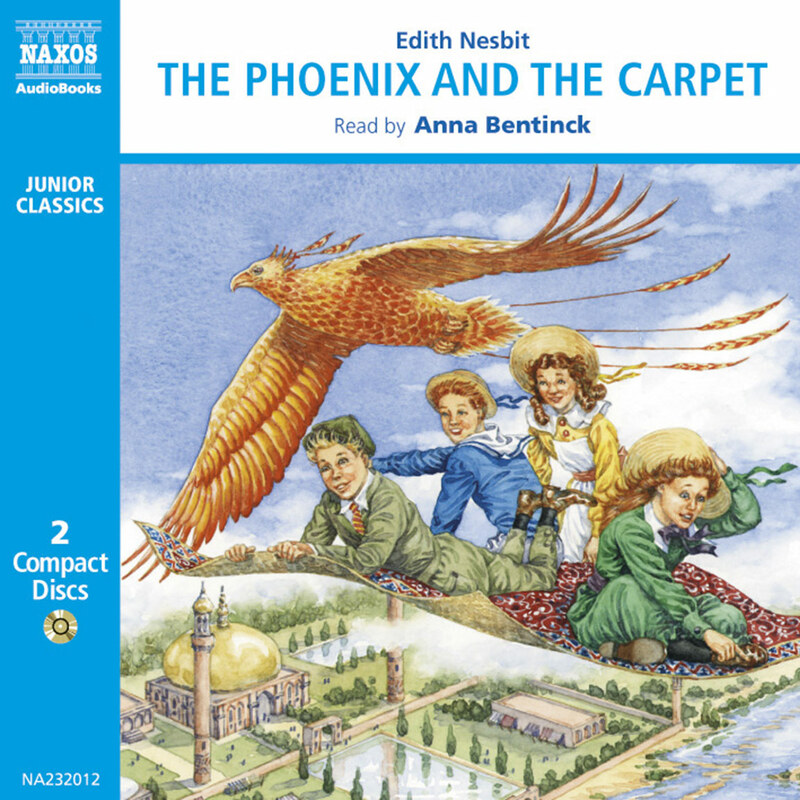 It was Nesbit who created the type of story which involves extraordinary, sometimes magical, experiences within everyday settings. Before this, children’s stories often took the reader completely away from real life, concentrating on an entirely imagined set of circumstances – such as Lewis Carroll’s Alice in Wonderland or Kenneth Grahame’s Wind in the Willows. But Nesbit was compelled to employ her own imagination within a much more natural setting, and one to which she herself could relate. Therefore, her stories typically involve a group of middle-class children, often brothers and sisters, who set off to have adventures outside the confines of their home. The routine of everyday life is clearly dull compared to the improvised amusement that is possible in the holidays. 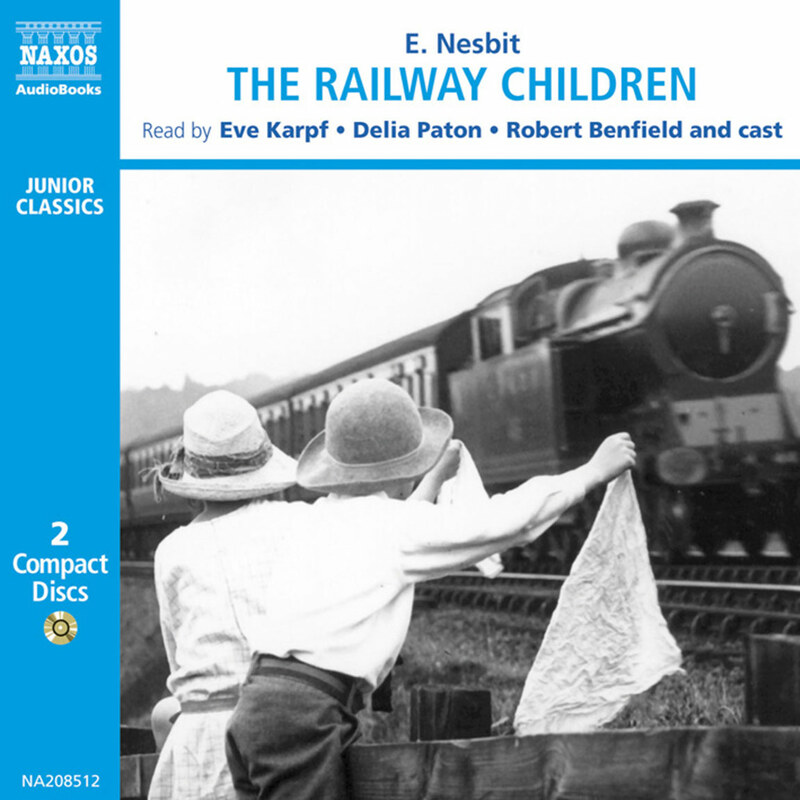 It is not just this ‘new’ realism that appeals to all ages; it is Nesbit’s sparkling characterisation. And if young readers relate to the interaction of the children, older readers relate to the observation of it, often smiling as they recognise endearing patterns of behaviour. The Enchanted Castle is no exception. But it is more fanciful than some of her other stories, and likely to remain ringing in the mind long after the last page is turned. The line between what is real and what is magical is left intentionally a little blurred, and the reader is encouraged to realise how powerful the imagination can be. 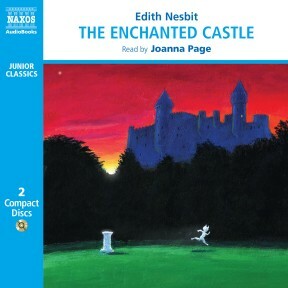 The setting for The Enchanted Castle finds us on familiar Nesbit territory. It is the school holidays; there is a maid called Eliza; there are packed lunches and ginger beer; shawls, shillings and hockey sticks. Three children – Jerry, Jimmy and Kathleen – are staying in a boarding school during the summer holidays and they set off to have adventures. On day one, they discover an extraordinary garden, with a maze which seems to contain the Sleeping Beauty. Kathleen – a sensible, practical girl – informs her bashful brothers that one must kiss the princess to wake her. Jerry, the ‘born leader’, suddenly finds his boots rather fascinating at this point, certainly more so than kissing a girl. His little brother, forgetting for once how hungry he is, moves in to seize this unusual opportunity for victory. It works. The princess is awake… but is she a princess after all? If she isn’t, how on earth is it that she has a ring which makes the wearer invisible? So begins a tale of extraordinary happenings, centred round an ‘enchanted castle’. The fourth child, Mabel, teaches Jerry, Jimmy and Kathleen that if you imagine something hard enough, you can make it happen. But then even she loses control and things happen that she hadn’t bargained for. When Edith was still a little girl, her father died. From then on, the stability of her life changed: the family moved around a lot and Edith went to various boarding schools, including one at which punishments came thick and fast for all kinds of tiny misdemeanours. Her mother told her she would get used to it, even though Edith cried herself to sleep at night. But she hadn’t been at that school long when it was all change: they were off to the south of France where her mother had found a house. Edith nearly had to remain behind, but she begged to be taken with her mother and sisters. Her brothers, Alfred and Henry, remained at another school in England. To begin with, Edith was placed with a family so that she could learn French. She and the daughter were the same age, and they got on immediately. She had a wonderful time. When her mother moved again to a different area of France, she was sorry to leave her French family. From the age of fourteen to seventeen, Nesbit began to concentrate on writing poetry and even had some of it published in several magazines. She was to write a lot more poetry over the years, as well as her novels. 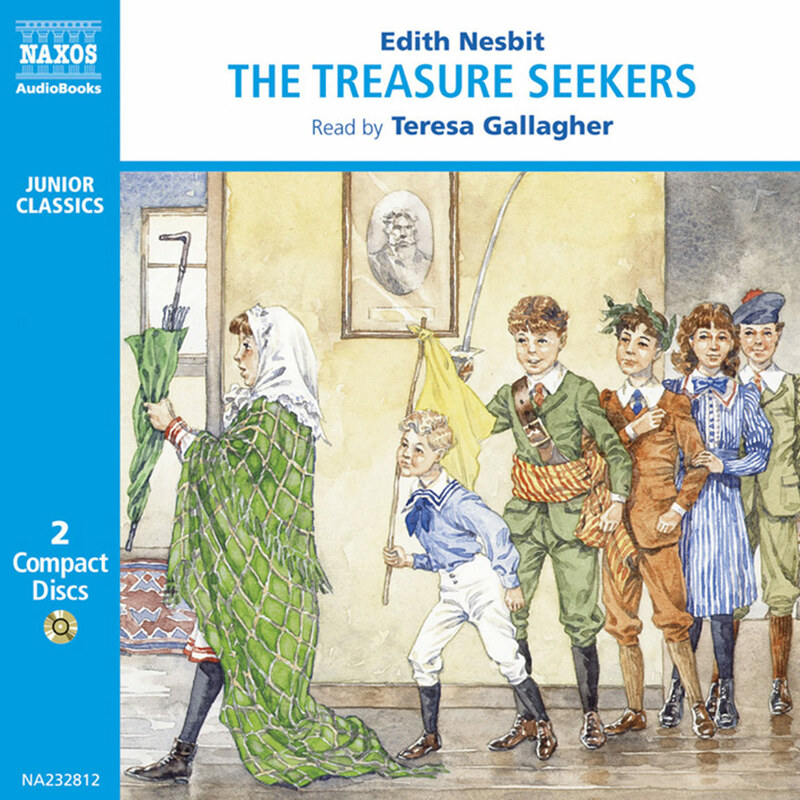 During the 1880s Nesbit was a lecturer and writer on socialism, but as she became a successful children’s writer these activities diminished. Her most famous novels include The Treasure Seekers, The Wouldbegoods, Five Children and It, The Phoenix and the Carpet, The Railway Children and The Enchanted Castle.